Dehydration is one of the easiest and most efficient methods of food preservation. With this method food is exposed to heat and air. It evaporates the moisture present in foods and also removes the vapor. Food is a basic necessity of life. But how can you preserve it to last for months even years? Freezing is a good option, if you have the space in your freezer and aren't worried about loss of power to the freezer. Canning is good too. But you need all those jars, some place to store both the full ones and the empties, and it means a lot of very hot work during the hottest part of the summer. 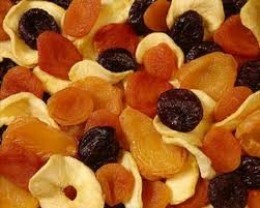 Have you thought about dehydrating your fruits and vegetables? Preserving food by drying is as old as mankind. Ever since someone first discovered that strips of meat dried over a smoky fire or berries laid out in the sun didn't spoil, people have been drying food. Those techniques have served well for thousands of years, and still do. But while the basic concept hasn't changed, helpful appliances now abound. While those are nice, you can still start simply, using the sun, or maybe your oven. I've even heard of people putting trays in the back window of a car sitting in the sun, windows opened a crack to let moisture escape, or rigging racks to hang over a wood stove. You can evolve as you feel necessary.